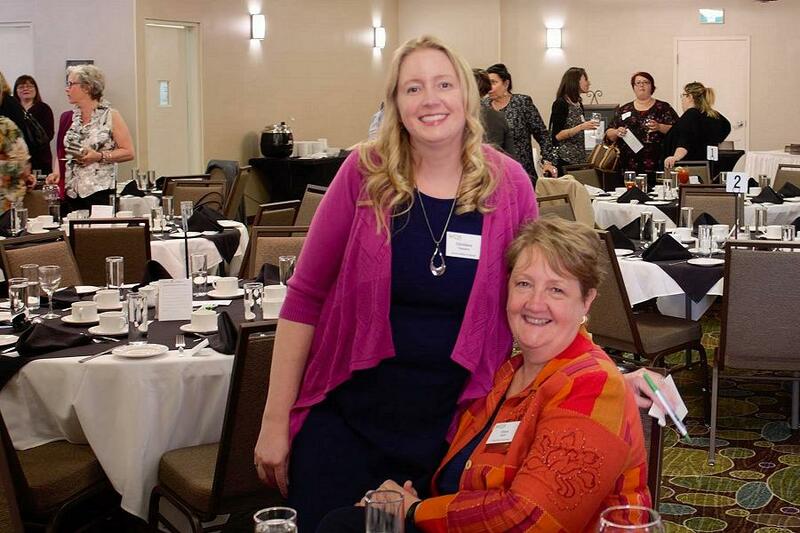 For the first time in the history of the Women’s Business of Network of Peterborough (WBN), a mother and daughter (Diane Wolf and Christine Teixeira) are both serving on the organization’s board of directors. This represents a generational evolution of WBN, as younger women are increasingly joining their more seasoned peers to become part of the pre-eminent business organization for women in the Kawarthas. This should come as no surprise, as Peterborough is brimming with an impressive talent pool of young females who are building their brands from the ground up, moving up the corporate ladder, and taking on leadership roles. Younger women have become a powerful force in today’s competitive business world, representing the best-educated and most ambitious generations of our time. According to Startup Canada — whose co-founder, Victoria Lennox, is the guest speaker at the April 2019 meeting of WBN — female entrepreneurs are growing the Canadian economy, contributing $148 billion annually and employing 1.5 million Canadians. 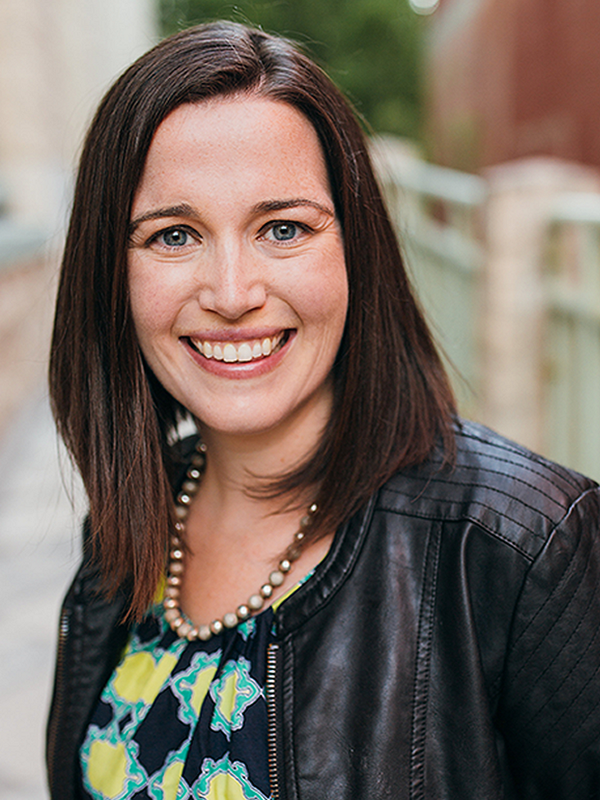 Keeping this growing female entrepreneurship trend in mind, WBN has made recruiting and retaining younger members a key focus area in their recent five-year strategic plan — a “life insurance policy” of sorts, explains Colleen Carruthers, WBN’s Strategic Planning Director. “For WBN to be around in the future, a succession strategy is necessary to achieve the long-term goals and ambitions of the organization,” Colleen says. Last year, three younger woman were given seats on the organization’s board — “a first in the history of the board” according to Colleen, adding “it’s essential, as having a young perspective will benefit both the organization and its business model” — and this year the number has grown by one more. Grace Reynolds and Josée Kiss have been joined on this year’s board by Danielle McIver and Christine Teixeira. 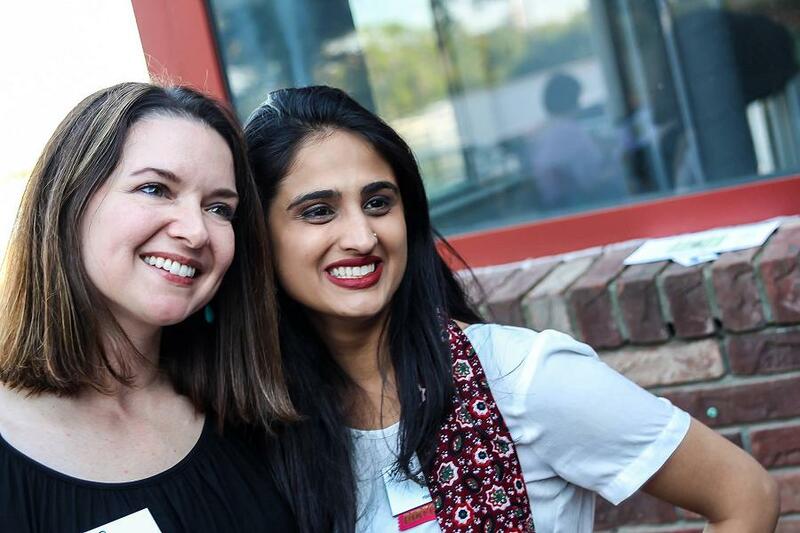 For 57 years, the WBN has been investing in high-impact programs that help advance women in business through education, mentorship, networking and access to growth opportunities. The group gives members a space where they can nurture relationships in a way that feels comfortable, a venue where they make the rules, and a private space that inspires them. For younger members looking for support, they can find mentors and valuable business leads, hear advice from experts, and even make friends. In return, Colleen says, young businesswomen bring with them fresh ideas and viewpoints, a vibrancy and different experiences that their peers can also learn from. So, who are some of these young women at the forefront of this surge? We’re proud to feature three WBN members who are leading the charge in Peterborough in their respective sectors, and hear in their own words how a WBN membership has benefitted them. Dr. Sarah Wild, Chiropractor, Definitive Chiropractic and Wellness Centre. Since earning her Bachelor of Science in Occupational Therapy at the University of Alberta and chiropractic degree from the Canadian Memorial Chiropractic College, Dr. Sarah Wild has built her career around helping others to become pain free and to live a healthier life through chiropractic care and healthy living habits. “I strive to empower and educate my patients to take an active role in their health and overall wellbeing, and I have a passion for treating active-minded patients who want to feel good, function well, and be healthy,” she says. 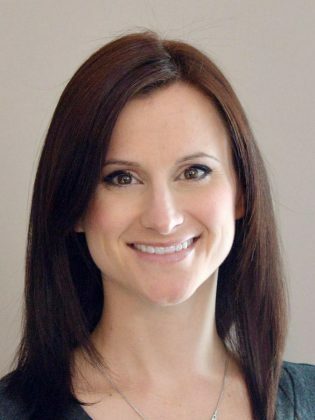 Sarah offers a holistic approach to chiropractic care for her patients — who range from infants to older adults — and has advanced training in the treatment of headaches and jaw pain, as well as pre- and post-natal and pediatric chiropractic. She says she discovered the profession of chiropractic when she found relief for her chronic headaches, after many years of trying different medications and therapies. Hailing from South Africa and having lived all over Canada, Sarah made Peterborough her home four years ago and started as an associate at Definitive Chiropractic and Wellness Centre. 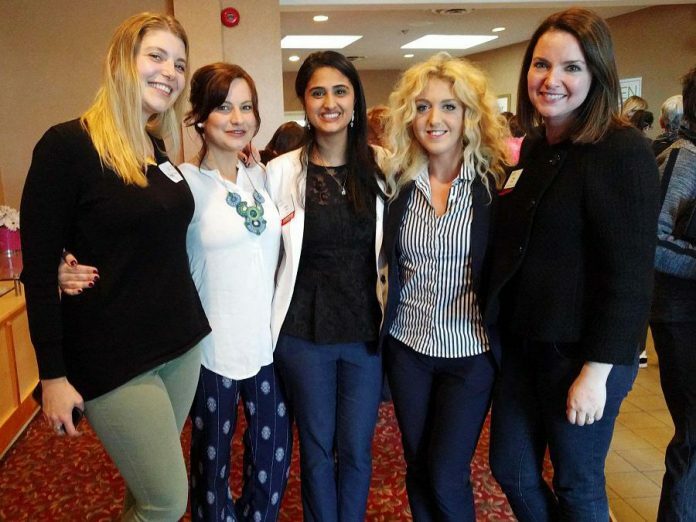 Her patients are certainly pleased with her care — she was recently named the Best Chiropractor in Peterborough in a readers’ poll conducted by the Peterborough Examiner. When she’s not performing chiropractic care at her clinic, she can be found teaching fitness classes for moms and tots at CrossFit Ptbo, to help new mothers recover from childbirth and regain their strength, posture, and pre-baby body. “When I joined, I didn’t really know the Peterborough area. I really wanted to learn from other people in business, and was drawn to being part of a community of inspiring and strong women. It was relativity easy to go into a group like that and find common ground, whether it was about business or family. For more information on Definitive Chiropractic and Wellness Centre, visit Definitive Chiropractic and Wellness Centre. You can also visit Sarah’s personal website at www.drsarahwild.ca or follow her on Facebook. Martha Sullivan, Lawyer, Sullivan Law Ptbo. After 15 years of living in the nation’s capital articling and working with some of Ottawa’s well-respected law firms, Martha Sullivan decided to return to her family roots in Peterborough last spring. Having opened her own practice in April in downtown Peterborough, Martha is a shining example of independence and drive. Now the lead lawyer at Sullivan Law Ptbo, Martha attended the University of Ottawa, where she earned her Bachelor of Laws in 2009; her call to the Bar was the following year. Martha’s office specializes in real estate, family law and wills and estates. Ensuring that clients feel comfortable and confident throughout their legal matter is the foundation of her client-focused approach to practicing law. Martha’s experience and talents litigating, negotiating and finding creative solutions led to her being empanelled with both the Family Responsibility Office and the Office of the Children’s Lawyer. She’s currently in the process of completing her training to be a certified collaborative family lawyer and mediator. “Having a membership has helped me feel connected and supported in the business community. For me though, it’s about the bigger picture. Everyone goes to those meetings with enthusiasm about being in business. Sometimes, as small business owners, we get lost in the urgent and sometimes we forget to stop working in our business and start working on our business. For more information about Sullivan Law Ptbo, visit sullivanlawptbo.ca. You can also follow Sullivan Law Ptbo on Facebook or Twitter. 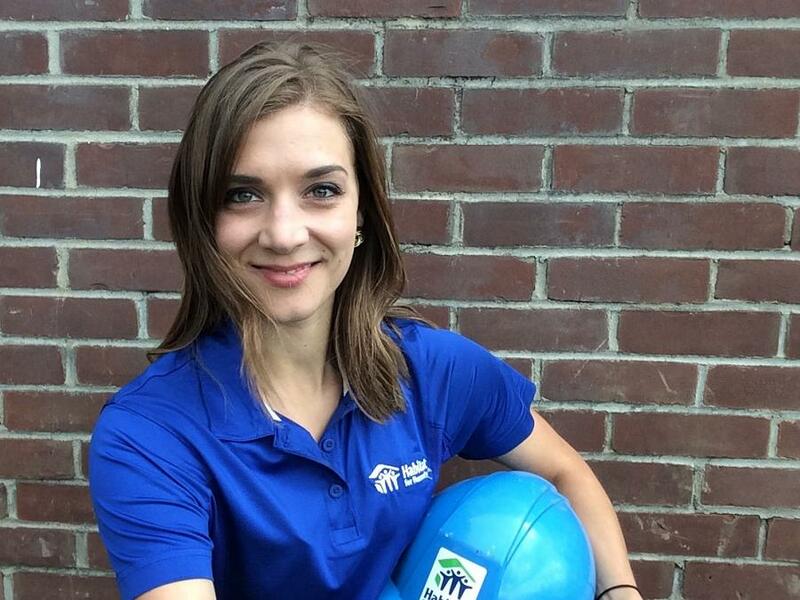 Emily Ferguson, Resource Development Manager, Habitat for Humanity Peterborough & Kawartha Region. The first time Emily Ferguson had ever swung a hammer was six years ago when she was framing walls for Habitat for Humanity’s Women Build project. She was working alongside her Fleming Collage teammates — a group of dedicated volunteers taking part in a blitz build to transform a blank slab into a cozy home. Today, as resource development manager with Habitat for Humanity Peterborough & Kawartha Region, she spends most of her days overseeing the organization’s Women Build Program and Youth Program, ensuring volunteers are ready to their wield hammers on build sites — not just to build homes, but build hope and a community for a family. “It’s a very empowering and fulfilling role that I hold near and dear to my heart,” she says. Emily wears many hats in her role: she manages volunteers and community programs, cultivates new relationships with donors and partners, runs special events, and does several other jobs throughout their community. The 2017 Women Build campaign launched in July to put a face to the fundraising teams and future home owners. In mid-September, hundreds of volunteers are expected to take part in the build. Ferguson says Women Build is helpful not just for families, but also for the women who volunteer and are passionate about Habitat’s mission. “The opportunity to have an exhibitor table has always been beneficial for Habitat. That is when I get to engage with women one-on-one. These days, it’s hard to pick up the phone and make cold calls or send emails and get a response. At the WBN, when you have that hour to do the networking and exhibitor table, you get to put a face to some of the names and then you make an initial connection. For more information about Habitat for Humanity Peterborough & Kawartha Region and the Women Build program, visit www.habitatpeterborough.ca. You can also follow them on Facebook and Twitter.